The 20th edition of the WECP Annual General Meeting began this Sunday (25/10) with the entity’s Education and Economic Development Committees’ meeting. On the agenda: work with consultants to define indicators to assess the impact of the WECP member cities in the global oil and gas market. Tomorrow (26/10), activities will take place in the GE Global Research Center, at UFRJ Technology Park. 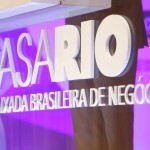 In the morning, the first of three conferences produced by Rio Negócios, the official investment promotion agency of Rio de Janeiro, will take place. Scenario, opportunities and the role of the WECP in the oil and gas sector will be discussed. Representatives from Brazilian sector institutions, Jorge Camargo, president of the Brazilian Oil Institute; Paulo Martins, president of ABESPETRO; and Bruno Musso, superintendent of ONIP, will paint a picture of the sector. To provide an industry insight into opportunities in the sector, the second panel will have Gilberto Peralta, president of GE Brazil; André Araújo, president of Shell Brazil; Stephane Vignet, president of Schlumberger Brazil; and Pal Eitrheim, president of Statoil. Bringing the first day of debates to a close, Christine Helgø, Mayor of Stavanger (Norway); George Adam, Lord Provost of Aberdeen (Scotland); Gillian McCormack, VP for Calgary Economic Development (Canada); and Gareth Morgan, Secretary of Commerce and Investment from Cape Town (South Africa) will discuss the WECP markets. During the afternoon, Maurício Guedes will guide the WECP member cities delegations through the facilities of UFRJ Technology Park, the largest tech park in Latin America. On Tuesday (27/10), the debates on Research and Development and Urban Transformation Projects will take place at Riocentro, in tandem with OTC Brazil. 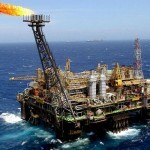 Rio Negócios expects to gather 400 participants from 150 companies connected to the oil and gas sector, especially operators, suppliers and representative and academic institutions. WECP, which gathers 23 cities from the 19 major oil-producing countries in the world, will hold the event in Rio de Janeiro for the first time with the presence of 14 delegations, 8 of them led by mayors. The annual WECP meeting will take place between October 25 and 28, with events in the GE Global Research Center, at UFRJ Technology Park, and Riocentro. For a complete updated schedule, access our site.